Whether it be things we see every day or less common items, this is the area for images of ordinary, not so ordinary, curious, colorful or interesting things that deserve a category of their own. While visiting the lovely city of Palma on the island of Mallorca (Spain), there was a market set up in front of the famous cathedral La Seu. 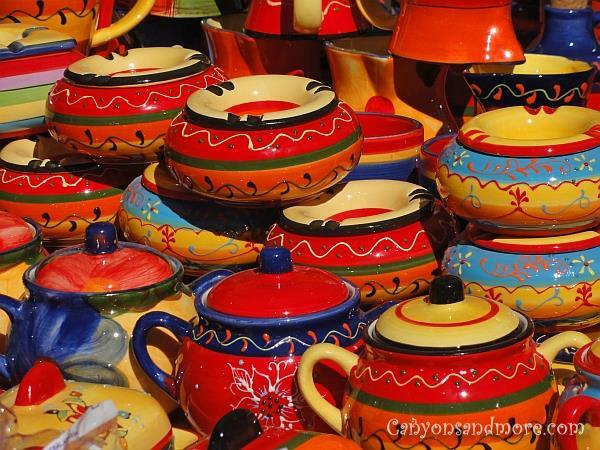 Island residents displayed typical handcrafted and culinary goods such as these vividly colored pots and bowls in the image above. This particular image was photographed in Cherokee, North Carolina on the front porch of a country store located there. These wheels could probably tell a lot of stories if they could talk. 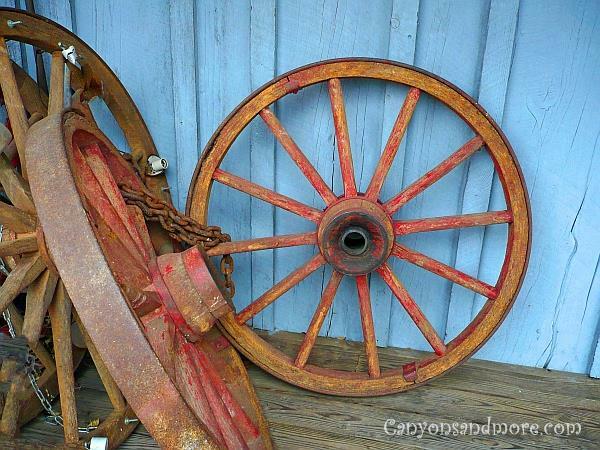 Imagine how rough a wagon train ride was with such hard wheels. 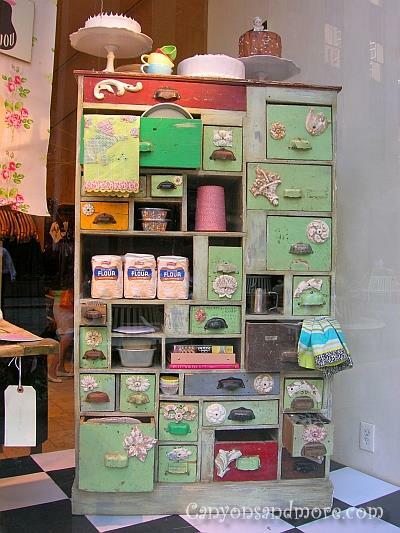 The image shows a vintage spice or kitchen cabinet seen in a store window in New York City in Manhattan. 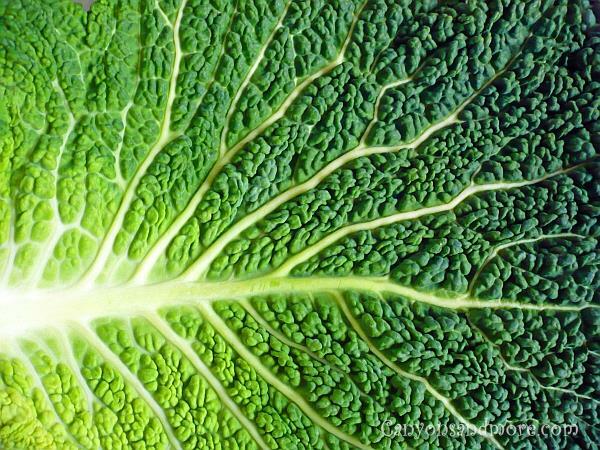 Is it a savoy cabbage leaf or is it a view of the rainforest in Brazil taken from above? Sometimes it is interesting to look at things close up. The details can be sometimes amazing. Portobello Street in London is a must see if you are in to buying unique items. 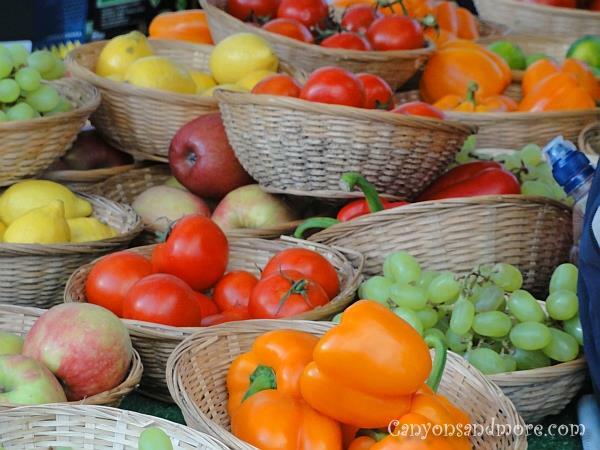 Not only could you buy antiques and collectables, but there were several stands selling baked goods and fruits and vegetables. Molfsee is an open-air museum in the state of Schleswig-Holstein, Germany and shows how residents of the area lived centuries ago. 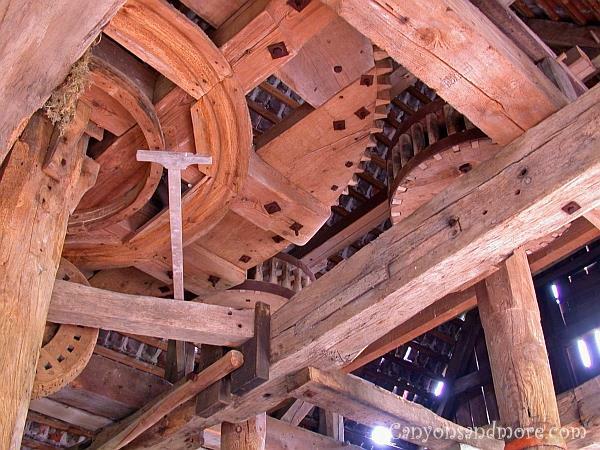 There is an attractive windmill which you can enter and see how the mechanism from the inside looks like. 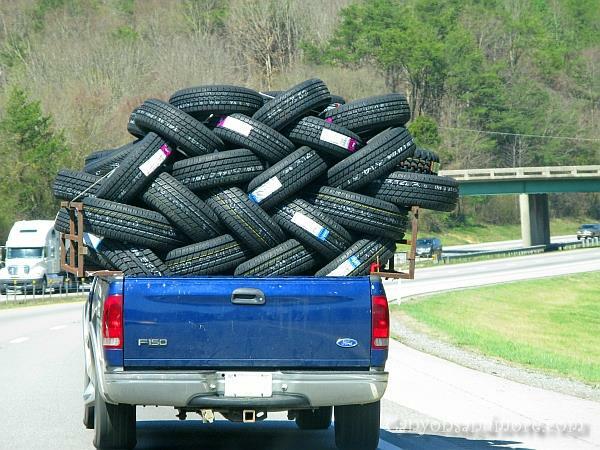 This looks like a redneck tire transport. You have to admit it... those guys in the south know how to help themselves. With a pick-up truck and a rope, anything can be transported. This photo was made on an interstate somewhere between Georgia and Tennessee. While on a walk through the forest, piles over piles of logs were stacked up for collection. 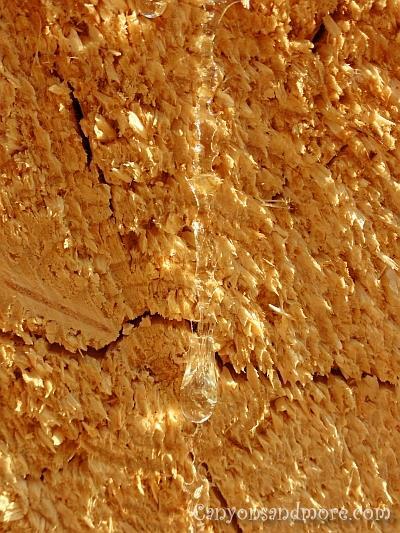 The sap of one of the freshly cut tree glowed in the afternoon sun. This image was photographed at the Landesgartenschau in Norderstedt, Germany in the summer of 2011. The theme this year was chickens. All sorts of chickens were made by local residents using many types of materials. 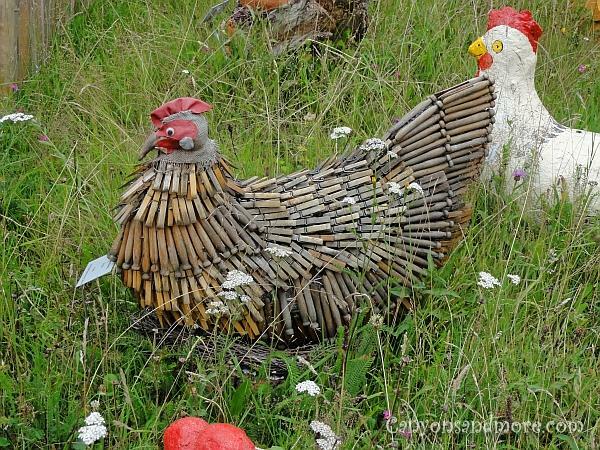 This particular one made with wooden clothespins is a masterpiece of creativity. A “Landesgartenschau” is an annual festival of flowers. Each of the German states hosts one each year. It is a great way to get out into nature and see gorgeous plants and flowers as well. This picture of the moon was taken on a very clear night. 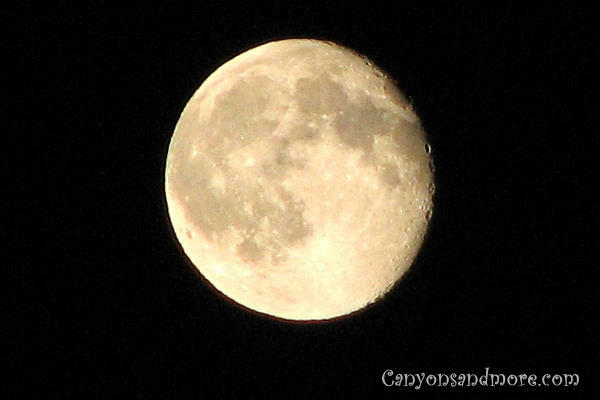 It is amazing how many craters still can be seen from such a distance.